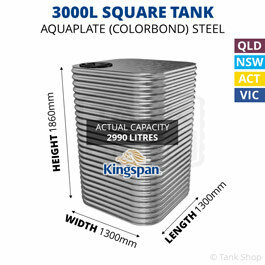 Tank Shop’s Square Steel Tanks have flat ends, giving them a smaller footprint than the equivalent capacity slimline or modline tanks. 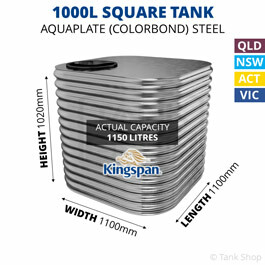 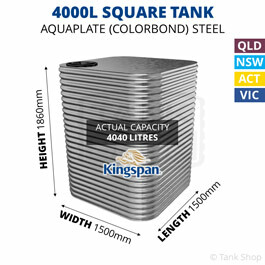 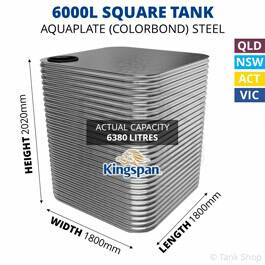 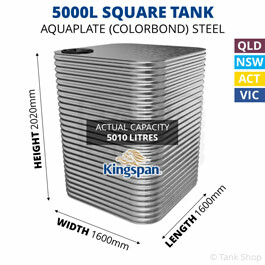 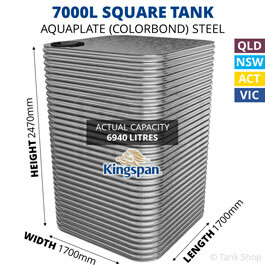 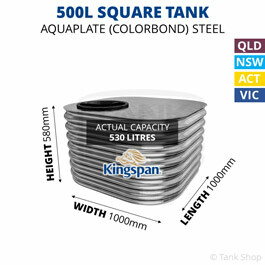 Made from BlueScope’s AQUAPLATE® steel, a modern steel purposefully fabricated to hold drinking water, our square tanks can store rainwater from 500L (110 GAL) up to 7,800L (1,720 GAL). 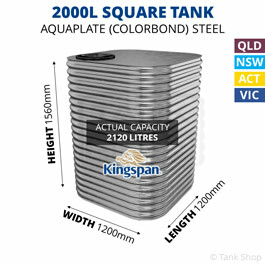 AQUAPLATE is a BlueScope steel specifically designed for use in rainwater tanks and storing drinking water. 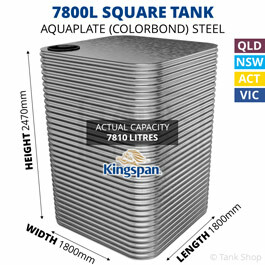 An inner poly layer is fabricated to a galvanised steel substrate, while the outer layer consists of a COLORBOND® or laminate coating.